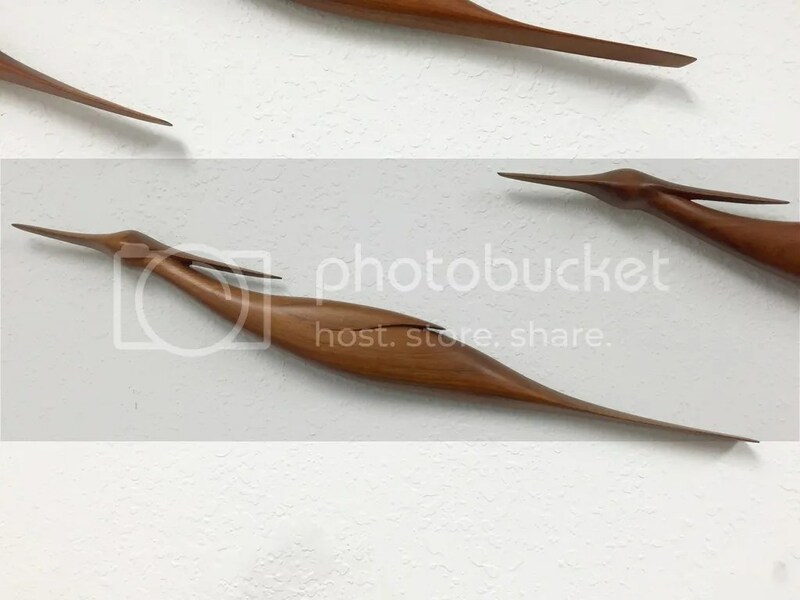 Those of you who’ve followed my woodwork over the years, know that my Pop was a huge influence on my work. Hardly a day goes by that I don’t wish he was still around to answer my questions, or teach me what I need to know for a particular project. 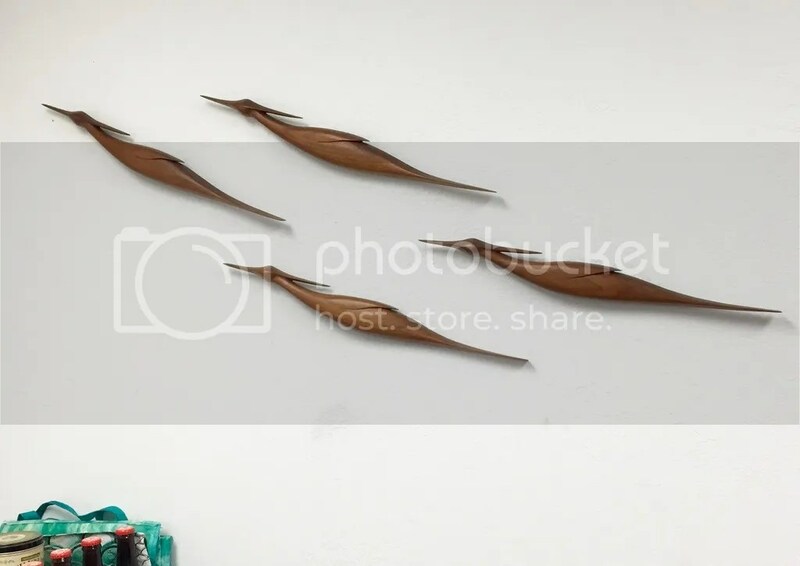 Although I inherited a number of his tools, and many of Granddad’s as well, I have only one example of his work to display in the front room of my shop, his flock of terns. Pop learned to carve birds from a man named Arthur Reisner (I’m unsure of the spelling), who last resided in Reno, Nv. When I met Mr. Reisner, I was 10 years old, and he was a very old man (older than my Granddad), living with his daughter and son-in-law. He was still carving, and when I was introduced to him, he offered to make me a free-standing figure of a sandpiper. I was so intimidated, and fearful of the responsibility of caring for such a precious object that I declined his generous offer. I have often regretted that thoughtless choice; mostly because I’m sure that he felt that my Pop’s passion for woodwork had skipped a generation. What drives each of us forward is seldom as simple as one thing. More often, it’s a complex and subtle blend of desires, passions, ambitions, guilts, and regrets, and surely many other factors that we’re unaware of. If we’re lucky, we’re able to hang our inspirations on the wall, where we can see them when they’re needed.